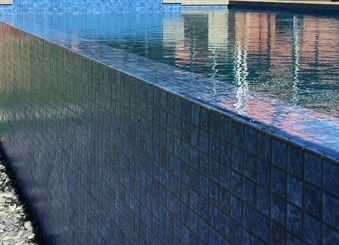 At Great Ocean Pools our aim is to build you the highest quality pool with the minimum of fuss. We believe that every pool that we build is an advertisement for our business. Word of mouth is our major source of advertising and we sincerely want you to be happy with your pool. At Great Ocean Pools, your pool is our pool and you are not treated as 'just another pool in the ground'. Great Ocean Pools are not a volume pool builder and by focusing on building only a limited number of pools a year we believe that we have the resources to maintain optimum quality control and complete your pool in a timely manner. We operate in Melbourne, Greater Geelong and Surf Coast areas. At Great Ocean Pools you are actually dealing with the owner of the business, Bruce Winstanley during the whole process. Bruce is a Registered Builder and Licenced Landscaper, whose 26 years experience in building award winning quality landscapes in his business Winstanley Landscapes Pty Ltd will also be invaluable in maximizing the use of space in your backyard. Pertinent issues regarding design, building regulations and maintenance of your pool and backyard surrounds will be solved to make the transition of your backyard a smooth process with a minimum delay.